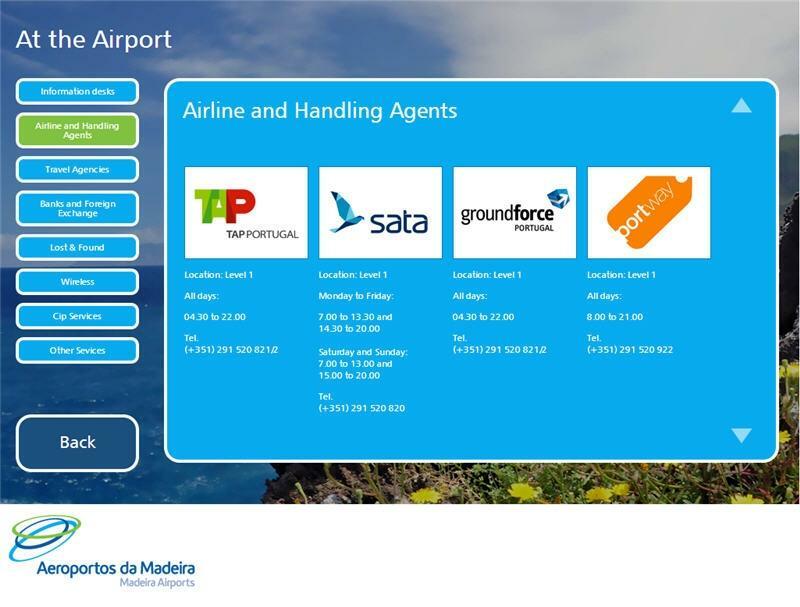 This project includes different types of large-sized touch + non-touch information kiosks, located in the airports of Funchal (Madeira) and Porto Santo (Porto Santo). 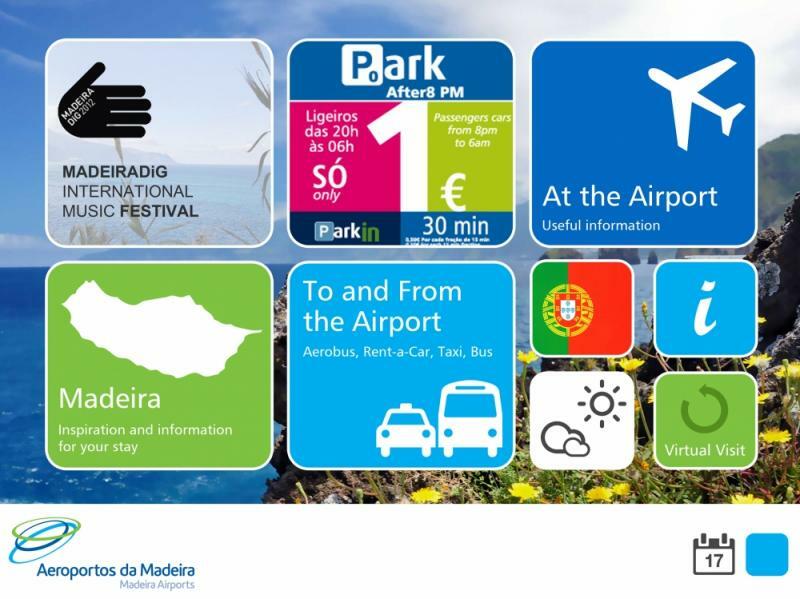 Practical info about the airport, how to get to and from it , parking prices etc. The system includes external content feed delivered by various sources such as airport employees, cooperation partners located outside (f.ex. 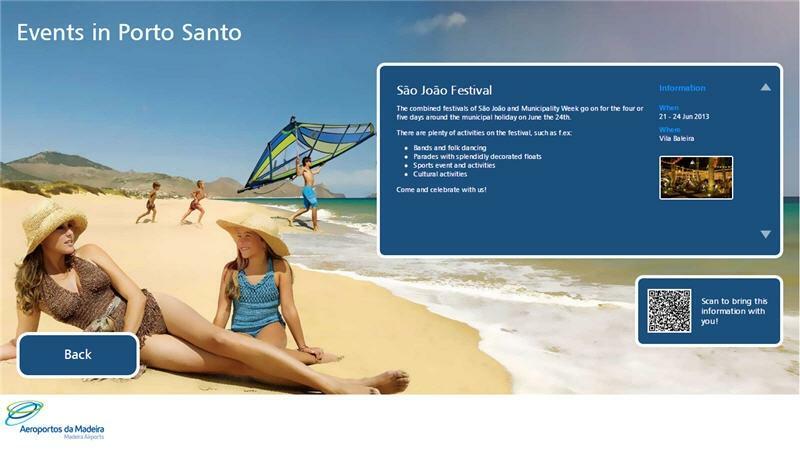 the national tourism board) as well as automatised integration to external webressources (f.ex. weather forecasts).